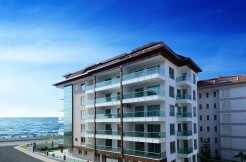 Buyhome Projects | Your real estate agent in Turkey.Rent Apartment in Alanya. We can offer you the best of the new apartment “Lux” to affordable second homes, as well as villas, hotels for sale and for rent, land.The basic principle of our agency – to do everything to ensure that the customer was satisfied. The agency employs a team of professionals to help you with all matters that arise in real estate transactions. The absolute priority for us is the efficiency and reliability in conducting real estate transactions. One of the basic principles of the agency is to take care of the interests of the client, so most of the customers come to us on the recommendation of their friends and acquaintances. We guarantee the provision of highly professional real estate services in Turkey.